White tea is the most subtle of all the varieties of tea, using only the finest tea leaves from each bush with a minimal amount of processing. White tea is just beginning to make an impact on Western culture. This is because there are new studies emerging that show that white tea is 10% more effective in improving immune health than its green cousin. Most of the white tea in the world comes from China and Japan, but there are also several regions of India that process white tea as well. The leaves are picked and harvested before the leaves open fully, when the buds are still covered by fine white hair. This is a sign of a good quality white tea. White tea is scarcer than the other traditional teas, and quite a bit more expensive. White tea is similar to green tea, in that it’s undergone very little processing and no fermentation. But there is a noticeable difference in taste. 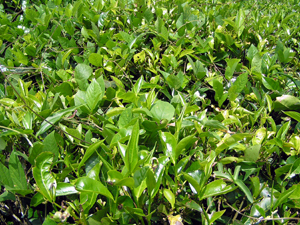 Most green teas have a distinctive ‘grassy’ taste to them, but white tea does not. 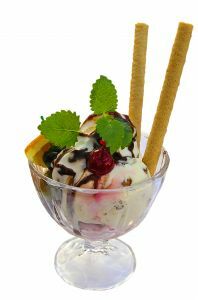 The flavor is described as light, and sweet. White teas are best when prepared like green tea. Their delicate nature will be destroyed by water that is too hot. The ideal water temperature is about 180 degrees Fahrenheit. 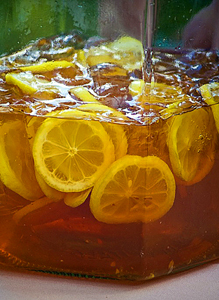 Add 1 to 1.5 tablespoons of white tea per eight ounces of water in a cup or teapot. Pour water over the tea and steep for two minutes. 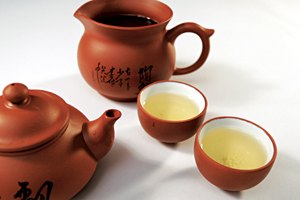 One serving of white tea can be brewed several times, with each steep revealing another element of flavor. In the case of Silver Needle, the steeping can be as long as three to seven minutes, depending on the water temperature. Luckily, White tea tends to be a very resilient leaf, not easily turning bitter. In other words, it’ll still taste good if you’re a few minutes late. At O-CHA tea bar we stock a Silver Needle and a White Peony…however, a true connoisseur is always welcome to look through our catalog to special order from hundreds of options.